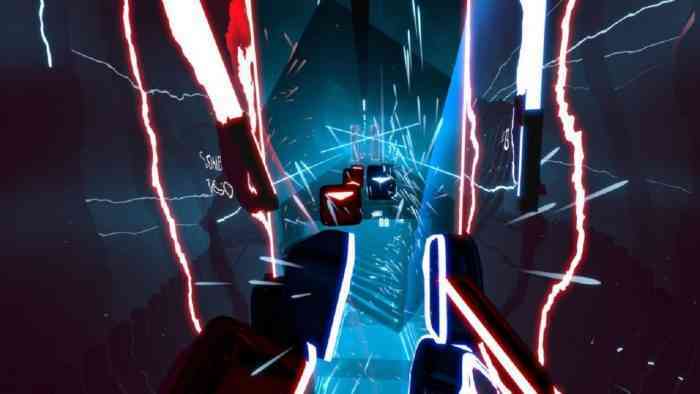 Beat Saber has been out on Early Access for about nine months now, and people have got pretty good at it. If you do not know what Beat Saber is, it is like Rock Band drums meets Star Wars lightsabers in VR. The idea is that players use the controllers to strike the notes in the songs’ rhythm. As you can imagine, some songs require a more advance skill level and speed than others. Some players are actually too fast for the game. This caused Steam to rework the Beat Saber sanity checks to keep up with the players. Sanity checks are basic tests to check to a claim is reasonable or true. Motion control based technology heavily relies on these checks to interpret the users’ movement. For Steam VR, PSVR, Oculus Rift, and other VR platforms use sanity checks for maximum speeds. This means that they will only detect movement under that speed limit. Movements that are too fast will not be detected, which can be an issue for Beat Saber players that are too fast. If you have ever played a Wii game and certain things were not happening even though you were swinging your controller back and forth, it is likely you were breaking the sanity checks of the console. Steam VR is in beta currently and is the platform that is in need of the sanity check rework the most for Beat Saber. It is unclear if other platforms are struggling to keep up with players. If you are a player on PSVR or Oculus Rift, feel free to keep beating those sabers. Is that a thing? Do people do that? Do you think you’re fast enough to break the sanity checks? Let us know in the comments below.